Ms. Rainey has been a corporate transactional and technology licensing lawyer for over 15 years. She has represented a broad range of clients including manufacturers and distributors of consumer products such as nutritional supplements, toys, games, pet products and electronics; hardware and software developers; and healthcare service providers that utilize complex technology (e.g. hospital systems, diagnostic imaging centers and pharmaceutical distributors). Most recently Ms. Rainey broadened her legal expertise by serving in the role of outside general counsel for middle market corporations. 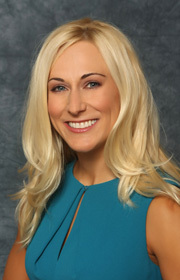 In this role, Ms. Rainey frequently advises the Boards of Directors in regards to compliance with corporate formalities, handles all legal contracts required by the business (including nondisclosure agreements, terms and conditions, supply and manufacturing agreements as well as technology development and licensing agreements), and provides general guidance in connection with all types of legal disputes (including pre-litigation coordination and mediation assistance). Ms. Rainey is highly adept at precisely capturing the essence of complex business deals. Her clients appreciate her ability to collaborate with executives to help them achieve maximum profits and growth, while minimizing legal risk and protecting core business assets. Prior to founding Garcia Rainey Blank & Bowerbank LLP, Ms. Rainey was an associate at Pepper Hamilton LLP (2006-2012), Newmeyer & Dillion LLP (2005-2006) and Sheppard Mullin Richter & Hampton LLP (2002-2005).